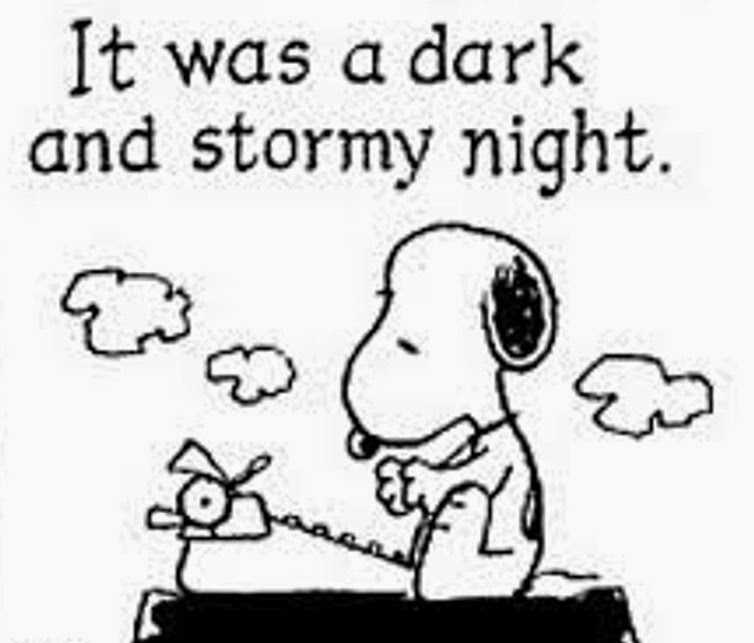 Finally felt comfortable back in the world of my current novel (which, I should note, will only be the second novel I’ve completed, when I do finish this draft, and the first one I will actively submit for publication, once revisions are complete). Passed 60,000 words on the manuscript and worked on outlining the major landmarks for this second half. Now that there’s a rough path to follow, I’m excited to dive right in and see where these characters take me. Over at Comic Geek Speak, they’ve brought back their Book of the Month Club episodes, and the next one, which should drop on iTunes this coming week, is a discussion of the fourth Sandman volume, “Season of Mists.” Sandman is probably my all-time favorite long-form comic series. This was the first hardcover collection DC published, back in the day before collected editions became typical, and I managed to grab the final copy from my LCS owner, at the time, at the second Nostalgia-Con he put on, up here in the Bangor, Maine area, in the early 90s. Kelley Jones was the special guest, and I got him to sign my edition, and that was the point where I dove headfirst into collecting Sandman – the single issues, the hardcovers, the slipcase for the initial trade paperbacks of volumes 1-3 (which they eventually collected in hardcover as the series was winding down), the statues, the platinum editions of special issues, all in. Anyway. This is probably my favorite storyline of the series, for a number of reasons, including this memory and getting the chance to meet Jones. I plan on posting some thoughts on this collection later in the week. Look for it, if you’re so inclined. 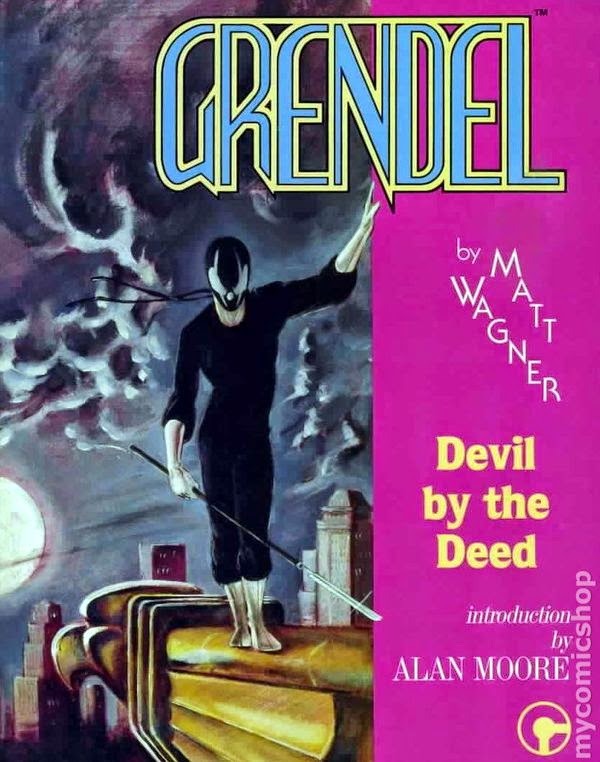 I have also begun my re-read of Matt Wagner’s Grendel, which will eventually turn into a “first-read” when I close in on the Grendel-Prime stories. It’s been a few years since I read these first Grendel stories – I read “Devil by the Deed” in its original, oversized, collected edition and have begun the “Devil’s Legacy” storyline – and I’d forgotten how compelling they are, while also being experiments in how to tell a comic story. In hindsight, one can see how Wagner was approaching comics from a different point of view to the mainstream. “Devil by the Deed” is almost an illustrated novella with its large blocks of text and art deco imagery that owes more to magazine design than comic book pages. It’s a wonderful melding of illustrated prose and comics that works as a distinct work of art. With the opening of “Devil’s Legacy,” Wagner, with the Pander Bros. on art, still utilizes broad blocks of text, but these are the personal journals of Christine Spar, the “author” of the previous “novel,” and it is interesting to see how Wagner will use these bits of text to infuse confusion into the readers, through the confusion of the narrator, juxtaposed with the imagery that helps to clarify the muddled prose. It’s an interesting way to circumvent the problem some run into with text-heavy comics, where the prose explains what is obvious in the pictures. Wagner was obviously aware of this pitfall, and, though there cannot help but be instances where he falls into this trap of explaining what the audience can see in the panels, he manages to fuse the words and pictures nicely into a narrative that does not resemble the same format as his previous Grendel tale. It’s a young artist choosing not to sit on his laurels and, instead, making the decision to experiment and see if he can tell a story in a new way. It’s great, and they hold up so well, even thirty years on. 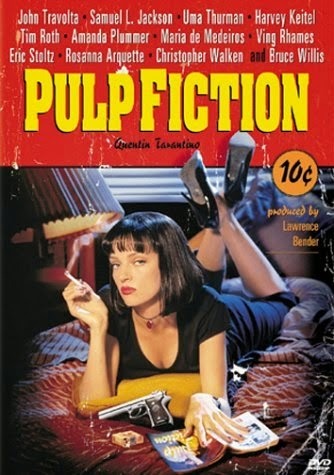 Watched Pulp Fiction this week. I had forgotten just how damn good Quentin Tarantino is (and maybe I wrote that last week; if so, I apologize, which does not negate its truth). The dialogue, the scenarios, the way he shoots a scene, and the way he puts all the pieces together – it’s pretty amazing, especially considering this was only his second feature film. Tarantino shows you enough, but also isn’t afraid to pull the camera away from a character while they may be talking or to hide the scene behind an ominous door (you know what I’m talking about), in order to evoke an emotional response that is enhanced by the absence of the visualization but not the sound – he understands how crazy our minds can become when forced to craft a grotesque or dramatic image (though I also think this is a reaction to budgetary constraints – particularly in Reservoir Dogs – and an artistic response to such fiscal realities). Looking forward to Jackie Brown next.